I just recently finished researching Nice and Villefranche sur Mer, France for our upcoming Mediterranean cruise. One of the things I really want to do in France is to have some French onion soup. The people of France call it onion soup or rather soupe a l'oignon gratinee. Thank goodness soupe looks like the word soup and l'oignon kind of looks like onion. I think I can remember this. I better or I will miss out on having the soup if I can't find it on a menu! So now I have an urge for French onion soup and I can't wait until next September to have it. I looked all over the web to find an authentic onion soup recipe. What I can gather is that Cevennes onions are used in France and I have never seen them in my local grocery store. I have decided that my onion soup will not be authentic but it can be delicious! Also, I found that no two recipes are exactly alike. For a 4-6 person serving the recipes vary in amount of onions, from 4 onions to 6 pounds of onions, and beef stock, from 2 cups to 2 liters. Also, different kinds of onions are used and the liquid can be beef stock, beef broth, water and chicken broth. Most recipes call for freshly grated Gruyere cheese but some list Swiss or a combination of cheeses that include Parmesan. One thing that most of the cooks agreed on was that the onions should be cooked slowly, to bring out their sweetness, until they are brown but not burnt. But how brown is another debate! This is the recipe I finally came up with. It was delicious and satisfied my onion soup craving! 1. Melt butter in a large Dutch oven on medium-low heat. Add onions and cook until the onions turn a golden brown. It should take about an hour. Stir often to keep the onions from burning and sticking to the bottom of the pot. 2. When onions are done, sprinkle flour over onions and stir to coat. Add the red wine and stir, about a minute or two, until you no longer smell the alcohol. Add the beef stock, thyme, salt and pepper. Cover the pot and simmer about 30 minutes. 3. Lightly toast bread under the broiler. 4. Place ovenproof soup bowls on large cookie sheet. Place a piece of bread on the bottom of each bowl. Spoon soup into bowls. Put one or two pieces of bread on top of each bowl along with 1/4 of the cheese. Put bowls under the broiler until the cheese is melted and lightly browned. This sounds like an easy and delicious recipe. I've pinned and will be trying it. Thanks! Hope you enjoy the soup as much as we did! One of my absolute favorites! Thanks for linking up to the Friday Frenzy! 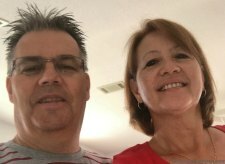 Thank you for hosting your party every week! My very favorite soup! I am so excited to try your recipe! Thanks for sharing at Celebrate It! Mine too! Hope you enjoy it! This is my favorite soup. My mom use to make it for Thanksgiving. I use to make it but my kids don't like it- and minority rules here if I want them to eat, ha ha ha Have a great day. I found you off of the Mother2mother link up. I hope that you will try this recipe once your nest is empty. I didn't even consider making this when my kids were little but my daughter loves it now! You are so right about soup and chilly weather going so well together! 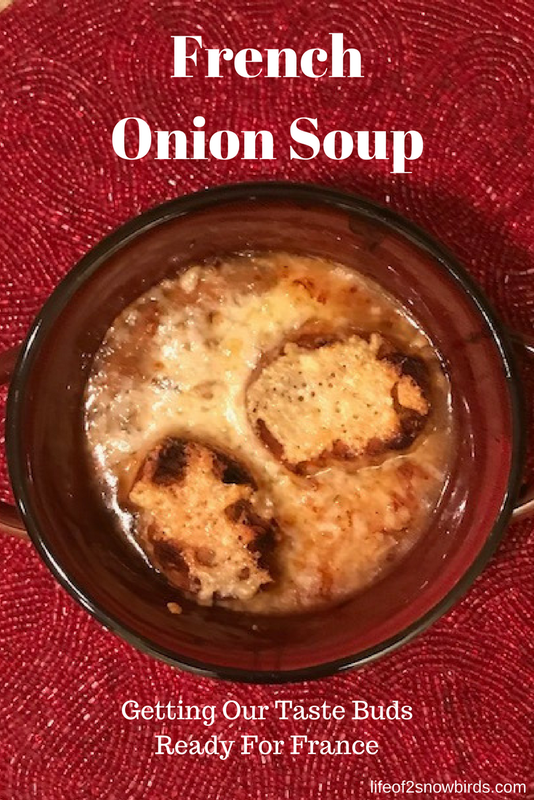 I love French Onion Soup, and this looks delicious. Thanks for sharing on Sunday's Best.